More than that – we wanted to see how the landscape itself could help us comprehend the story. We wanted to show that something of the journey was still tangible. Yes, that meant pacing the inclines, but it also meant travelling through the charted and structured spaces in which the walk took place. So we went to particular churches, castles, and houses mentioned in our account of the expedition, where those survived; where they didn’t, we sought out the streets or paths along which the walkers may, or must, have travelled. We wanted, as far as possible, to fit our shoes into their footsteps. This kind of thing, I have to admit, is endlessly entrancing. It’s like getting a play off the page and up into the four dimensions of performance, seeing what the flat and linear page both incubates and obscures. Which is all very well for a play, but is it appropriate for a 400 year old travel narrative? It’s an attempt, let’s be frank, to bring it all alive, which is exactly the sort of naive gesture that I ought, like a good historian, to scorn. This kind of imaginative conjuration of the past is a cheap fantasy, surely? The places have changed; the people are not the same, either. Identifying with them is like overidentifying in the theatre, forgetting that any character in front of us is only a pretence. Let the dead bury their dead – we must recognise that we live in an implacably different present. But anachronism is not a sin, nor even an avoidable weakness. In fact, I’d argue that without anachrony there could be no history at all. A world in which each moment was entire of itself would hardly be one that creatures like us could live in, and much of what we do shows how deeply we distrust any attempt to confine us to some discretely present moment. 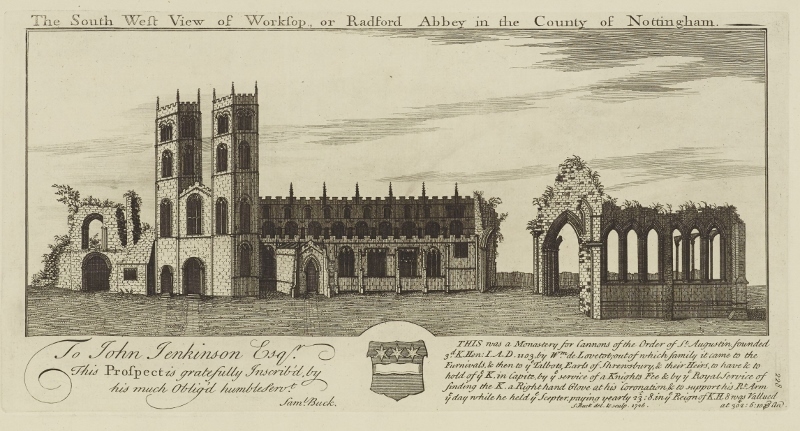 When we visited Worksop Priory, we found a building much changed from that which Jonson and his companions viewed in August 1618. Then, the Lady Chapel was in ruins, cattle grazing among its monuments; now, it is reintegrated into a church that happily declares its cut-and-shut of historical registers, the unusual narrative splicing of a rise and fall with another rise. 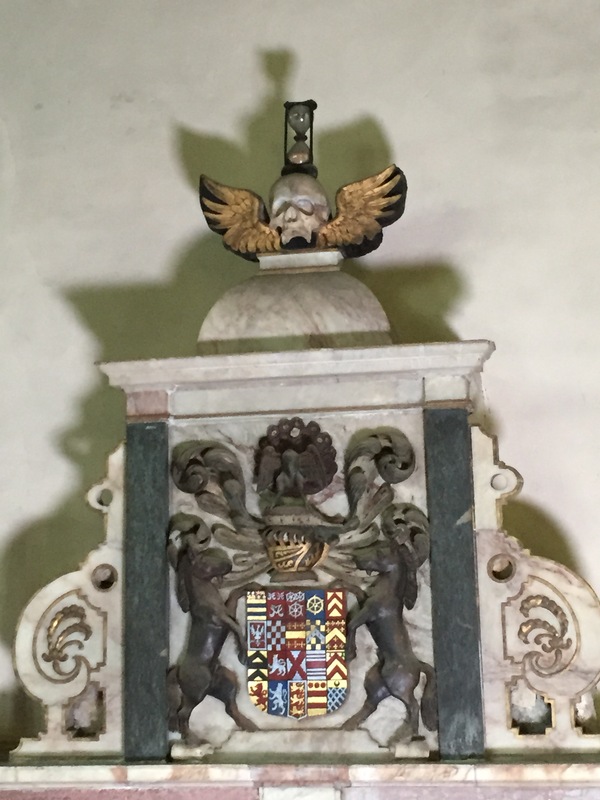 And at Bottesford and Bolsover we spent several hours among monuments that Jonson himself had viewed or helped to design, each of them laden with effigies that strive to give the deceased a particularly stubborn persistence in their final repose. They are dead, but very far from gone – each sculpture brings them out of intangibility and solidly back into this particular scene. If Jonson gazed on the sculpted face of his erstwhile patron, Elizabeth Sidney, as we did, was his sense of things similarly stretched across several nows and thens? In the end, though, my sense of the immediacy or proximity of the past didn’t arise most intensely from any such blunt attempts to claim the attention of the hereafter. Instead, it came from the apprehension of much less loudly declarative gestures. 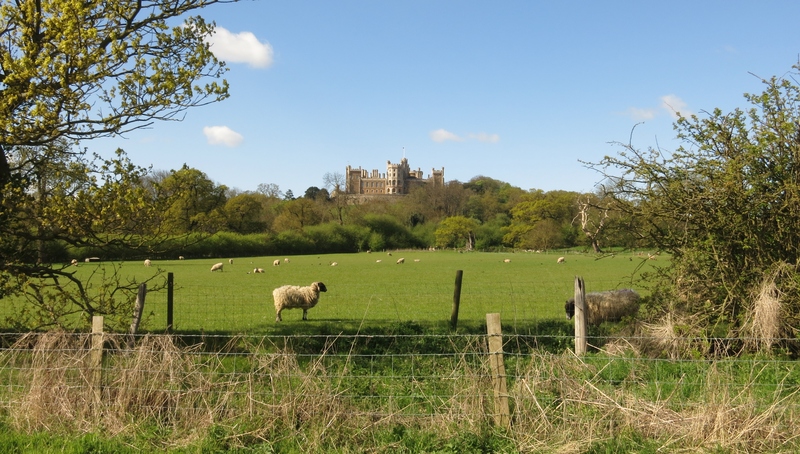 There was the medieval carving at Bolsover, long defaced and once serving as a doorstep, in which we saw – with a little shock – that the sculptor had carefully given one of his figures toenails. Then there was the moustache neatly scored into the otherwise off-the-peg kneeling miniature of Sir William Cavendish. Or the neatly shod feet, and attendant porcupine, of the recumbent Elizabeth Sidney. Most acutely, there was something I only spotted in the twilight of our final visit to Bottesford. Right at the top of the Sidney monument, some twenty or so feet off the ground and all but lost in the gloom, was an hourglass. Not a stone representation, but an actual hourglass. Perhaps this is a common, or not uncommon, feature of early seventeenth century monuments, but if so I’ve never seen one before. And anyway, that wasn’t the point. There’s a pleasure in noticing details, of course, and sometimes an element of self-congratulation in managing to spot them. But more than that, finding the seemingly superfluous or inessential detail in a monument requires you to be as close to it, as immersed in it, as the maker once was. You have to share, or at least to feel, their absorption in such things – quotidian things, unspectacular things, things close at hand on which we tend not to dwell. I want to say that their inclusion in a monument transfigures them, but that’s not right at all. That hourglass is still just an hourglass, shining even more brightly just because it is its own thing, just as it was when Nicholas Johnson put it there. His absorption in the detail of his monument, and our capacity to feel it too, is what binds us together. Every time we notice these details, and smile or look more intently or reach out to run our fingers over them, we are in the past, and the past is in us.